Asia Pacific Sale - 40% off! 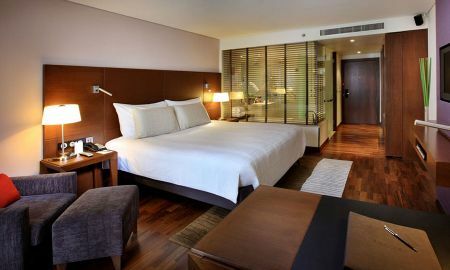 Providing 5-star luxury in the heart of the city, the Pullman Bangkok Hotel G combines lifestyle and design, ideal for business and leisure travellers alike. 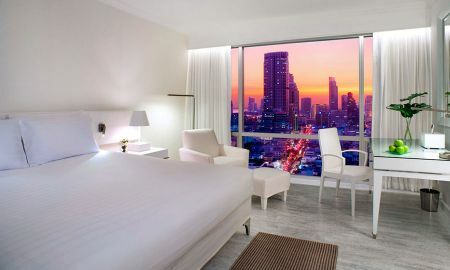 Boasting 469 modern and stylish rooms, lavished with a hospitable welcome, the floor-to-ceiling windows overlook panoramic views of the sprawling metropolis of Bangkok. Outfitted with plush furnishings, every elegant room is replete with deluxe amenities that speak of a haven of pure contentment. Relax in the bright interiors and open-wide spaces, then unwind for a perfect night’s sleep within the comfortable ambiance. 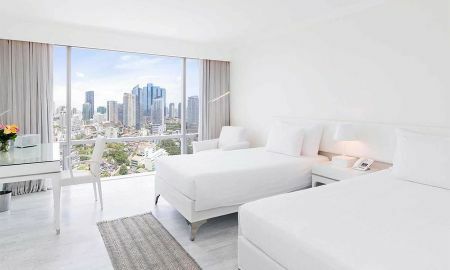 With complimentary Wi-Fi Internet access throughout, selected accommodation benefit from decadent inclusions such as a sumptuous living area, spacious bathroom and premium signature amenities. The hotel itself provides a multitude of drinking and dining destinations. To kick-start the day, replenish the body with a breakfast buffet of nutritious Western and Asian dishes. Named after the precise temperature between a raw and well-done hamburger, the 25 Degrees Burger Bar is one of the best rooftop venues in Bangkok offering French cuisine in a sophisticated décor, funky music and extensive drinks menu. A fine selection of wines along with tapas, daily specials, cold cuts, and cheeses, makes Scarlett Wine Bar & Restaurant the trendiest meeting point, while the Pool Bar offers daily BBQ delights as the resident DJ lifts the atmosphere, and the Playground bar has a selection of retro board games and wide selection of refreshments. Conveniently located in the centre of the city, the meeting rooms and grand ballroom can each be tailored for the specific event. The Gallery is reserved for medium or large events. Intimate meetings take place in The Library. 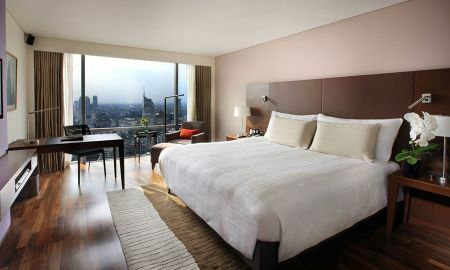 All meeting spaces at Pullman Bangkok Hotel G are equipped with high-tech audiovisual equipment. Located on the 5th floor, the EnerGy fitness features the latest state-of-the-art TechnoGym equipment, and steam rooms. Fitness trainers are also on hand to provide you the best advice to maximize your fitness regime according to your needs. The cardiovascular area and the strength training zone for provides an exciting range of workouts. Group classes such as Muay Thai, Yoga and Pilatis are also available. Enjoy massages and treatments at the Anne Semonin Spa which uses a blend of aromatic essential oils and marine ingredients in holistic treatments tailored to the individual needs of your body and skin. Guaranteed instant wellness - whenever you can and for as long as you want. 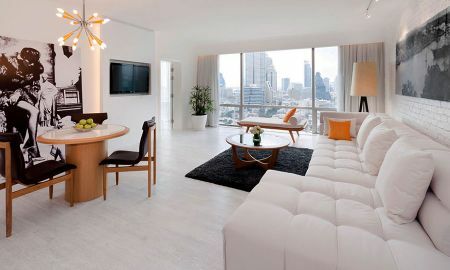 The Pullman Bangkok Hotel G is situated nearby Chong Nonsi BTS Skytrain Station, and the Si Lom MRT underground subway, allowing guests to quickly connect with the whole of Bangkok. Both the Siam Paragon and CentralWorld shopping malls can be reached within a 20-minute drive. From the property, the Suvarnabhumi International Airport is approximately 24 km away.